Me in “bossy mode” at 2010 Border Collie Convention event. 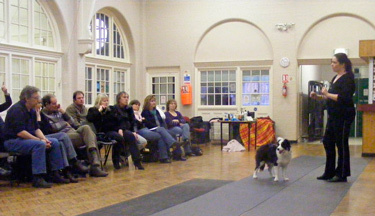 I have provided educational "talks" on handling, presenting and judging dogs. I also provide one on one training/handling lessons. I am a committee member of the Border Collie Club of Great Britain - and currently the representative to the breed council.